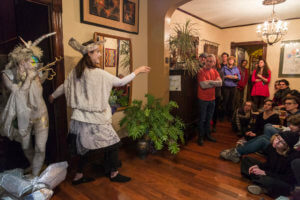 Gallery 400 at the University of Illinois at Chicago and Threewalls announce the eighth year of Propeller Fund granting opportunities for visual artists and groups in Cook County, IL. Propeller Fund awards $50,000 per year to artists and groups for collaborative, public-oriented projects that are independent and self-organized. Saturday, June 3, Gallery 400, 400 S. Peoria St.
Introduction to and tips on writing a compelling proposal, budgeting, navigating the online system, and juror’s point of view. Presenters include previous Propeller Fund awardees and jurors. These programs are free and open to all.